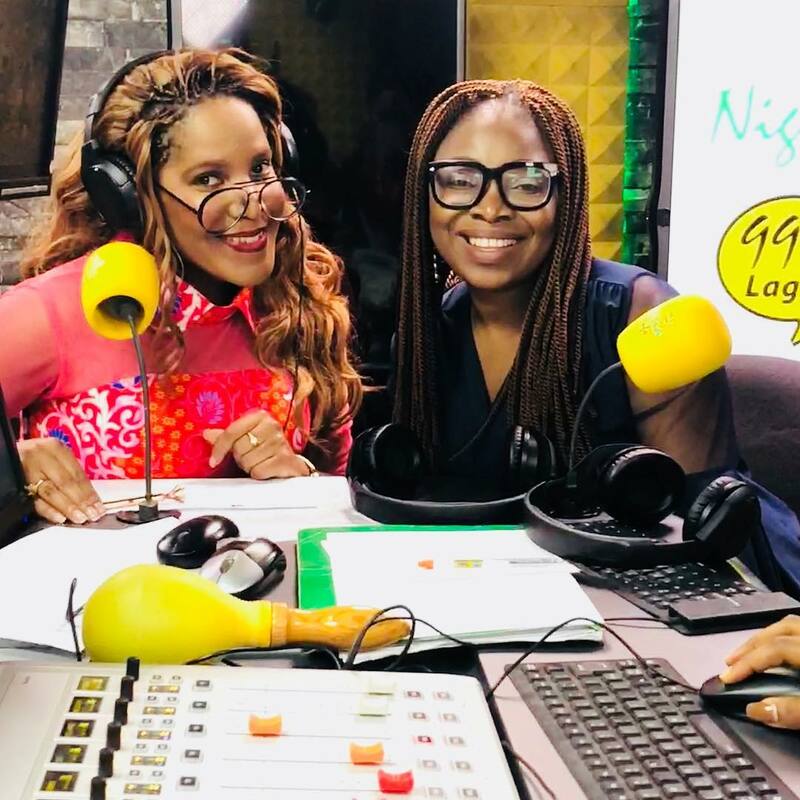 It’s 2018 and female genital mutilation #FGM is still practiced worldwide. 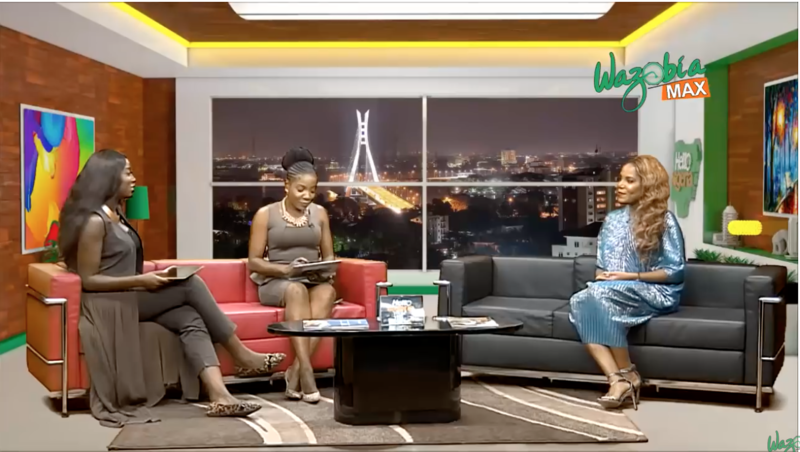 On my recent trip to Nigeria, I had the opportunity to discuss extensively the damaging effects of female genital mutilation with various media outlets. 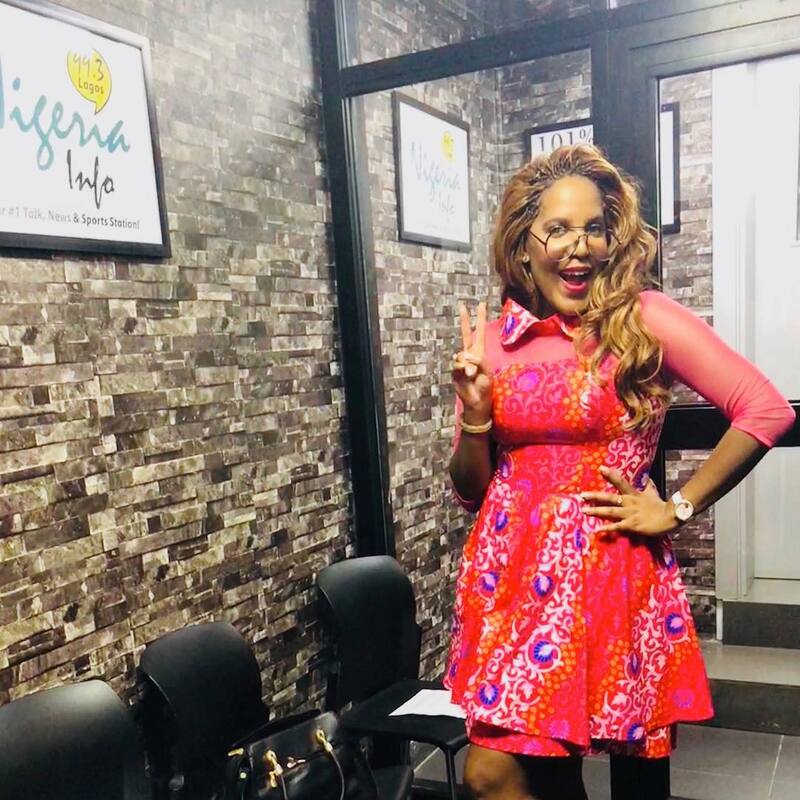 As a physician, health advocate, and human rights advocate it is crucial to make the public aware of just how dangerous and potentially life threatening FGM can be. 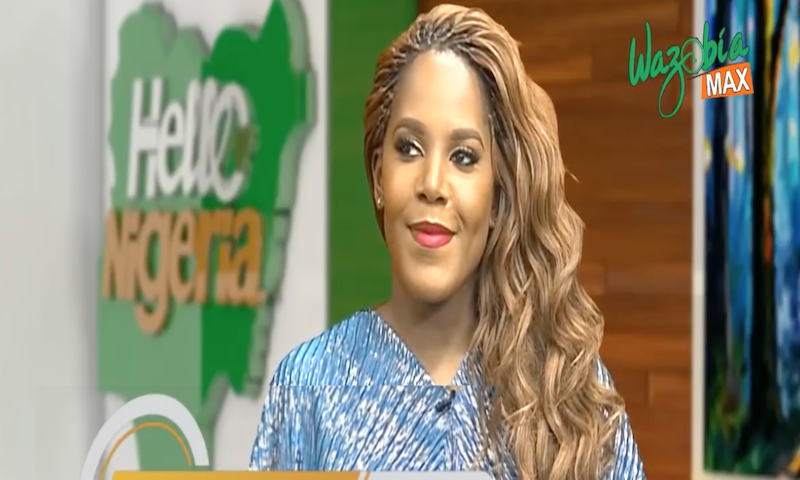 Learn about the #health dangers of this atrocious #HumanRightsViolation against #women in my recent interview on the Talk Show Hello Nigeria! 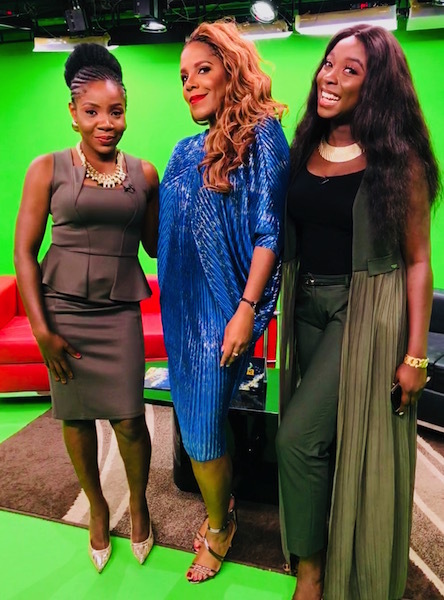 Dr. Nesochi with the lovely hosts of Hello Nigeria Olive Emodi and Esther Nwankwo. 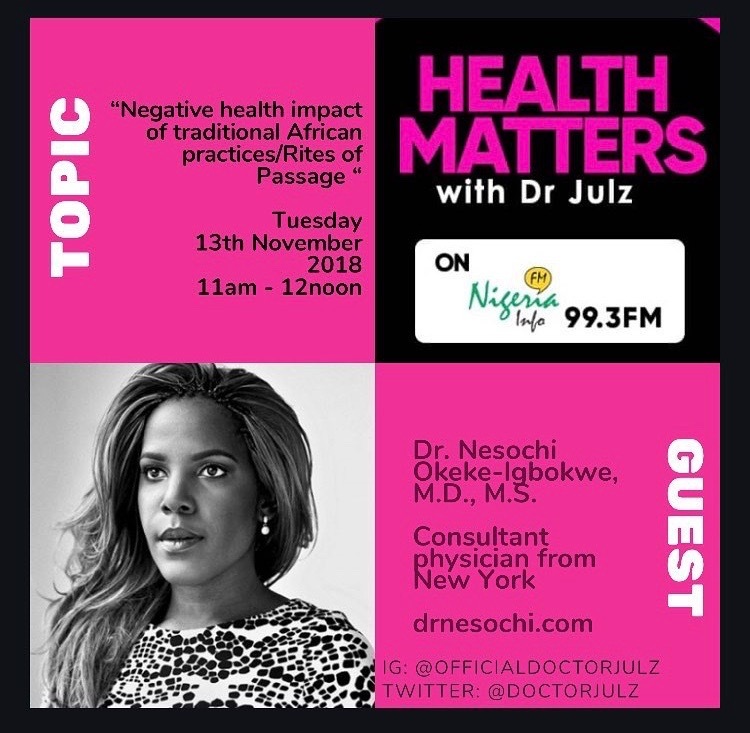 I also joined my friend and colleague Dr. Julz Offiah on her radio show #HealthMattersWithDrJulz to discuss the harmful practice. 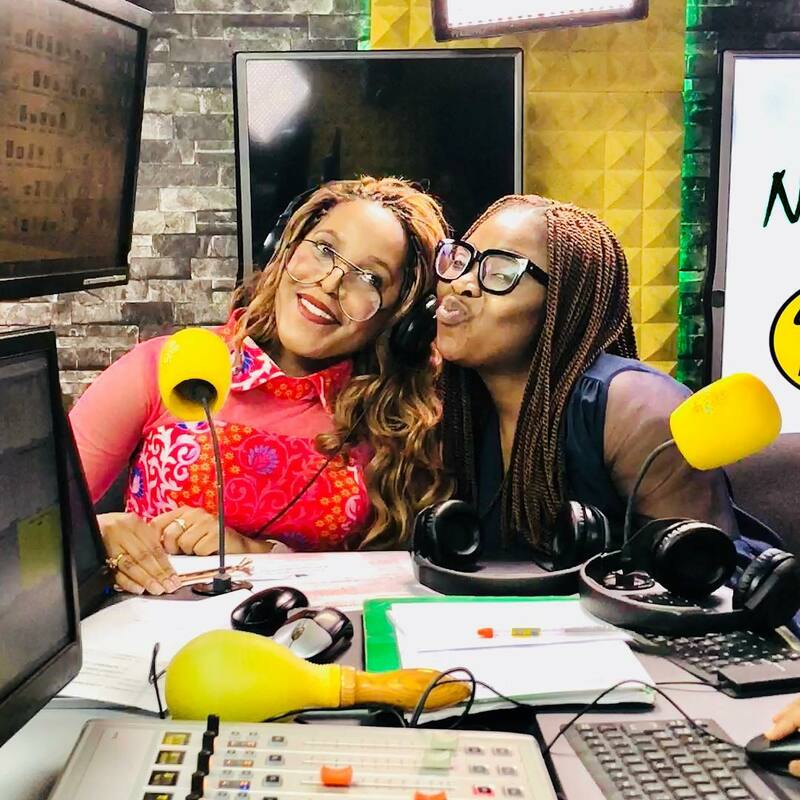 We had callers to the radio station trying to justify why they believe the practice is ok. Remember, there is simply no justification for this brutal practice! 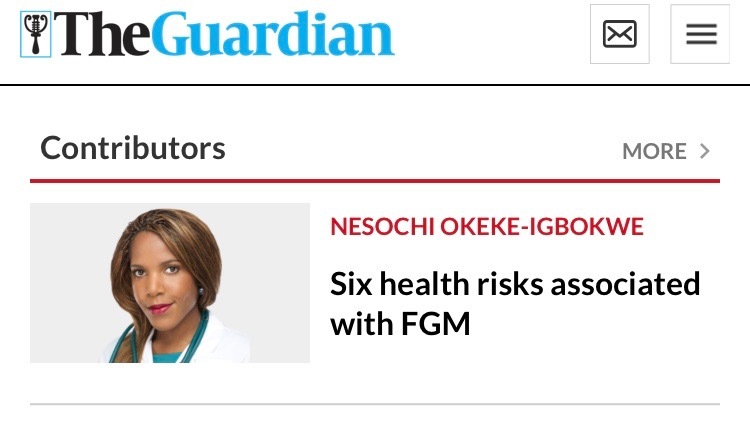 I’ve written about the topic as a health contributor for The Guardian Newspaper. 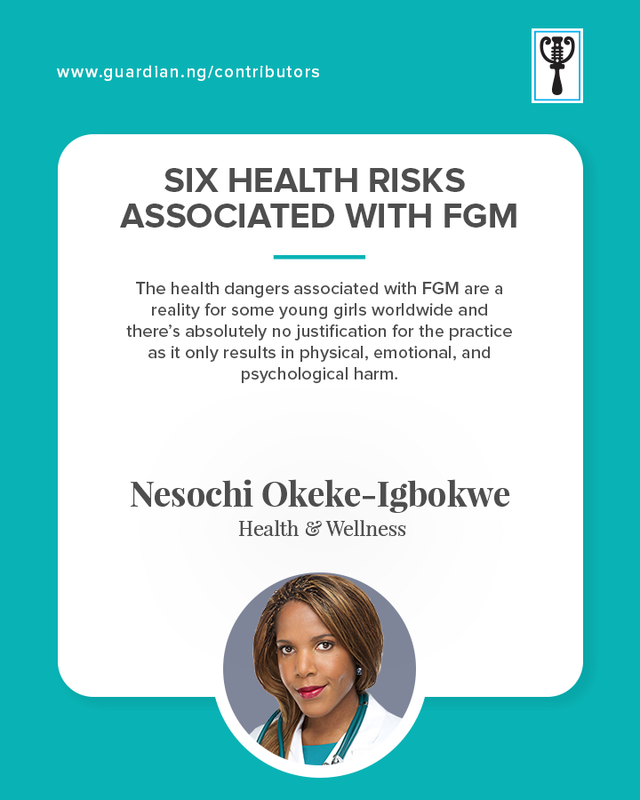 Read my piece on the health risks associated with FGM here (or scroll down below) and learn why there MUST be an END to female genital mutilation.